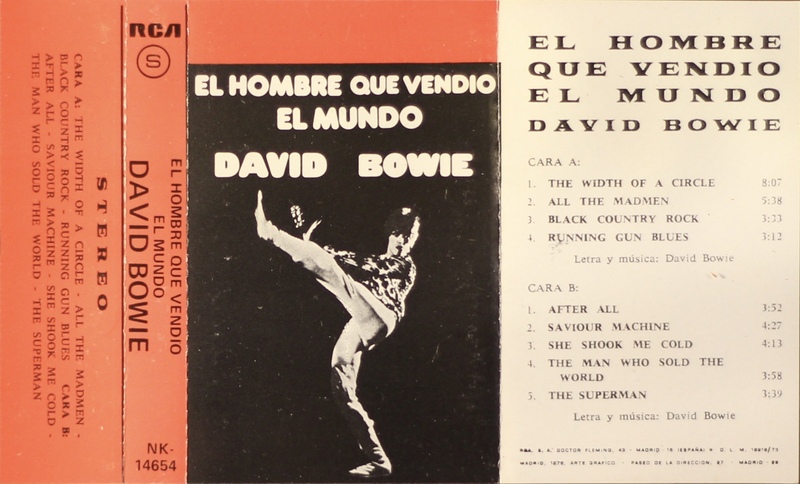 El Hombre Que Vendio El Mundo (The Man Who Sold The World); Spain; RCA (Lineatres); NK 14564; 1976. Red tab top cover, red spine and rear panel. The title is in Spanish and there is a price code ‘S’ on the upper spine. The rear of the cover is blank. The inside panel gives the date of 1976 and the track list, which is also on the rear panel. The folds of the cover all have perforated edges. 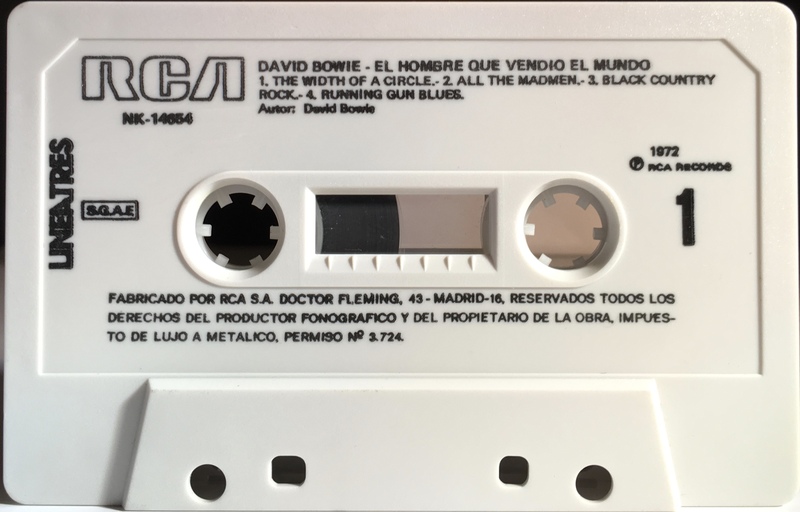 The cover states Cara A & B for the sides but the cassette shows 1 & 2. Track sequence is different from the original LP. Side 1: The Width Of A Circle; All The Madmen; Black Country Rock; Running Gun Blues. 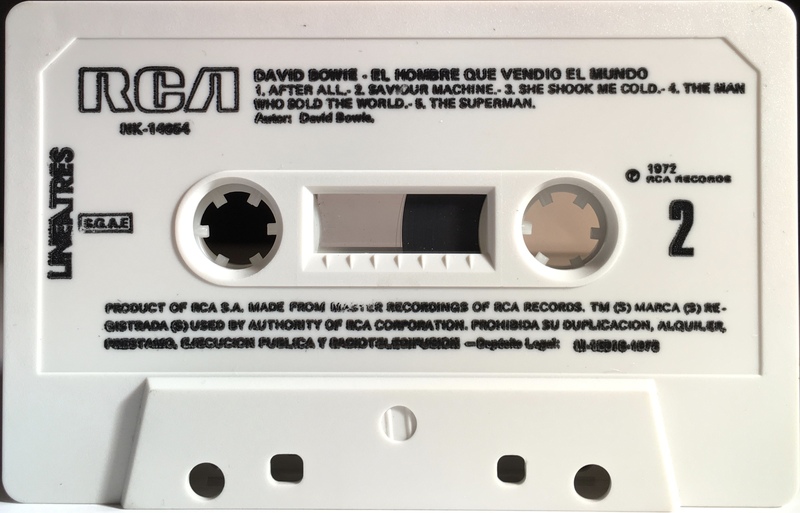 Side 2: After All; Saviour Machine; She Shook Me Cold; The Man Who Sold The World; The Supermen.